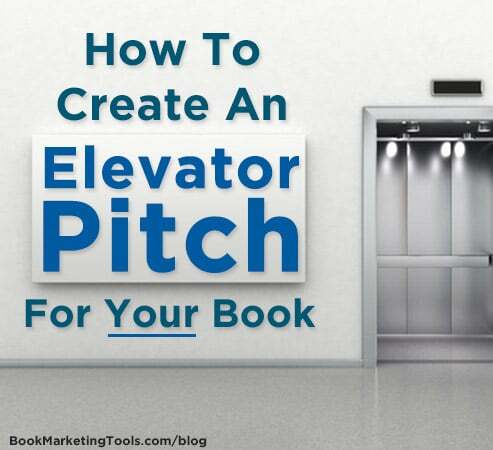 Confused about what an elevator pitch is and why you need one for your book? Media coach Gina Rubinstein breaks that all down for you in this guest post about one of the key marketing elements you need. You’ve finished writing your book. Congratulations! But don’t walk away from the computer so fast. 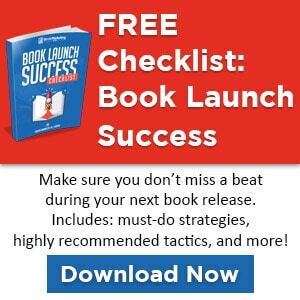 Your next order of business is to come up with an elevator pitch for your book and yourself. The elevator pitch is one of the front lines of marketing – it’s the way you introduce yourself and your book to others. Note that I say “your book and yourself.” To market your book you have to market yourself as well, to establish your credibility. You are the face of your book. An elevator pitch (so-named because it should be short enough to say in an elevator ride) is like a commercial. It’s a 30- to 60-second speech that should grab the listener’s attention and make him want to know more about you and your book. You want to hone it until it’s as captivating as you can make it. A good elevator pitch is one of the best sales tools you can have, but it should sound like a conversation, not a sales pitch. Your goal isn’t to sell the person your book, but rather to make them see how the points in it coincide with their own self-interest. The problem you’re going to solve: To hook your listener, you have to address a problem that he has. People are guided by self-interest. What problem does your book address? How does this problem affect your target audience? Why is this problem important to them? Who you are and why I should listen to you: This is where you explain your expertise – the field or topic in which you and your book have something fresh to contribute. Also, you give your credentials and experience as well as show proof of your expertise in the world, to convince the listener you’re an expert in your field. Writing a book gives you some credibility, but it needs to be augmented with real world accomplishments too. Your solution to the problem: This is where you wow your listener with the fresh ideas and solutions that you have in your book. What have you brought that’s new to the discussion of this topic? What’s your twist? What are the real-life examples that prove your point? A brief story of someone using your advice to overcome an obstacle can be very compelling. You always want to start out the pitch with the problem, to immediately make the conversation about the listener, not you. Remember – everyone’s favorite topic of conversation is themselves. Then give your expertise and then the solution. Try and get your pitch as streamlined as possible. Spend some time coming up with snappy phrases that really get your point across. Once you have it written, memorize it until it rolls off your tongue. If you have more than one target audience for your book, or you solve more than one problem, you’ll need to come up with different variations of your elevator pitch for each of them. Now go out and introduce your book to the world! Gina Rubinstein is a Los Angeles-based media coach who trains her clients to use the media to grow their businesses. She is an Emmy Award-winning executive producer of reality television who has transferred her decades of directing “real people” into helping authors, speakers and others become the perfect on-camera guest. She offers a free evaluation to anyone who fills out this short questionnaire.